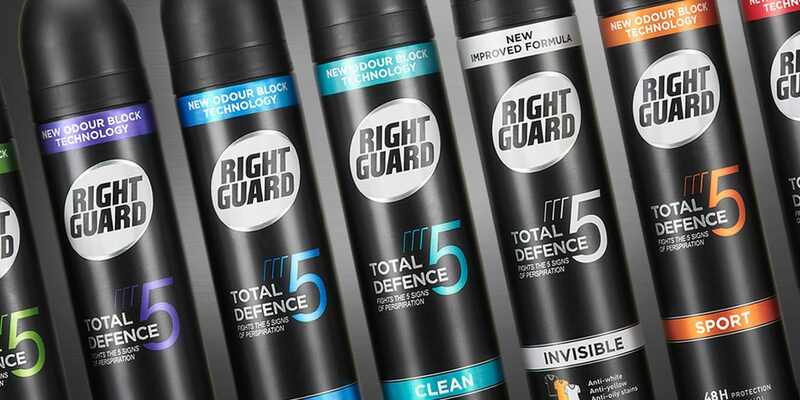 As one of the largest brands in the male deodorant category in United Kingdom, Right Guard has always been providing confidence to its consumers. 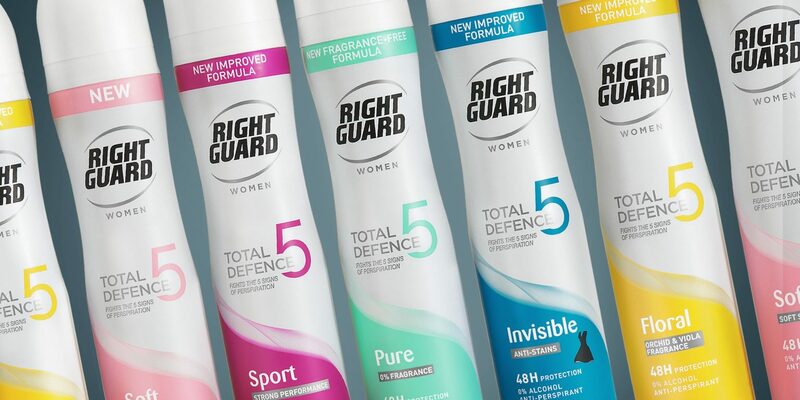 With its high performance anti-perspirants and shower gels, the brand offers a large range of products to meet all types of needs. 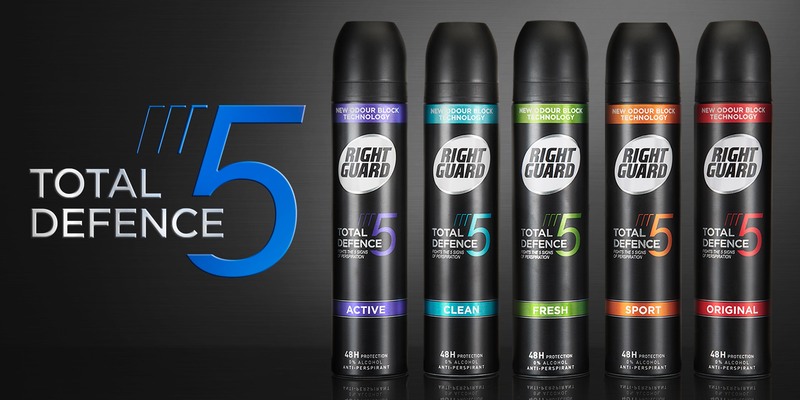 Right Guard called upon Crépuscule to relaunch the Total Defence 5 range. While looking into, to modernize the male and female range’s identity and gain in performance, the goal was also to provide an immediate understanding to the consumer. The range includes sprays, roll-ons, sticks, and offers a protection against 5 issues (wetness, stickiness, odour, bacteria, stains). As a result, each variant shows a minimalistic and pure design. The colour code allows the consumer to easily navigate between the different benefits, and the engagement of each product is clearly communicated.